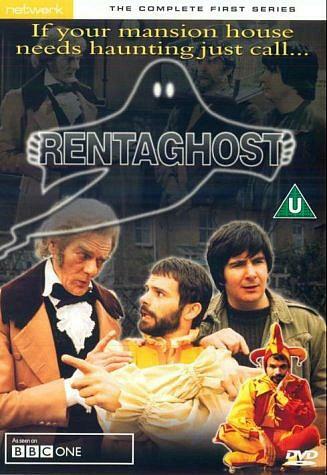 "If your mansion house needs haunting just call Rentaghost..." Well, I certainly remember that theme tune from this truly zany, pantomime-style kids TV comedy series. It originally aired on BBC1 from 6th Jan 1976 until 6th Nov 1984, and can, therefore, claim to be both a 1970s and 80s TV show. 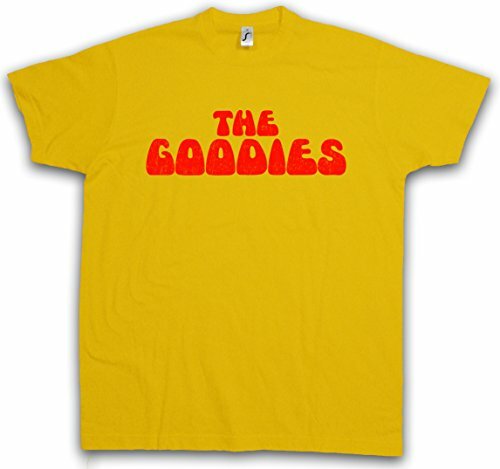 Each episode revolved around a business in South Ealing that rents out a group of rather inept ghosts. Rentaghost is run by a likeable character called Fred Mumford (played by Anthony Jackson) who is himself a ghost who feels that he was a failure in life. He aims to help other ghosts who also feel they have failed in life, through his company. 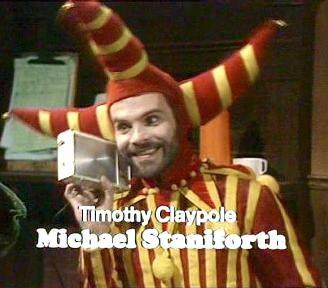 At the start of the series, the only recruits are the troublesome jester, Timothy Claypole (Michael Staniforth), who was ill at ease with modern technology and a dandy Victorian gentleman called Hubert Davenport (Michael Darbyshire) who was easily offended by the lack of morals in modern times. His character only remained until 1978. 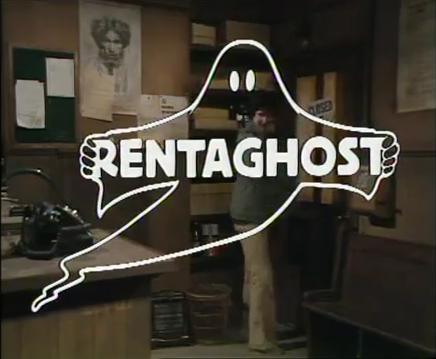 Rentaghost rents its office from the sour-faced Harold Meaker (Edward Brayshaw) who is unaware of what kind of business they are running, at least, in the first two series. His wife, Ethel, is played by Ann Emery throughout the entire series. 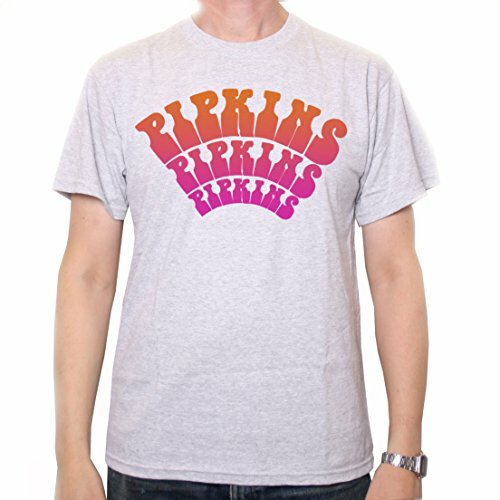 Disclosure: Simplyeighties.com is a participant in the Amazon Associates affiliate program. This enables us to earn fees from linking to products on their website. New spooky recruits and other characters were introduced as the series progressed. In 1977, a local entrepreneur and owner of a department store was introduced called Adam Painting (Christopher Biggins) who regularly tries to recruit the incompetent ghosts to help with his latest business schemes, but fails miserably. In 1978, we saw the arrival of the ghost of a Scottish witch called Hazel the McWitch who was played bu Molly Weir. Dobbin the pantomime horse also became a regular character after appearing in a Christmas special. He was brought to life by Timothy Claypole who then proved to be too incompetent to reverse the spell. New neighbours to Harold and Ethel Meaker, Arthur and Rose Perkins (Jeffrey Segal and Hal Dyer), were also introduced in 1978, and, amusingly, they became convinced that the Meakers were complete and utter nutters, regularly hiring private detectives and psychiatrists to prove that their etiquette was far from normal. In 1981, a Dutch ghost who suffered from severe hayfever was introduced. Miss Popov (Sue Nicholls) would teleport herself ("pop off") whenever she sneezed, usually by catching the whiff of a flower. 1983 saw the introduction of Whatsisname Smith (played by Carry On regular Kenneth Connor) whose name no one could remember. Susie Starlight (Aimi MacDonald) was added to the final series in 1984. She was a fairy godmother who could grant wishes. Whatever happened to the main cast members of Rentaghost? Anthony Jackson (Proprietor Fred Mumford) also provided many voices for characters in the BBC animation Ivor The Engine, as well as Budgie The Helicopter, The Adventures of Paddington Bear, The World of Peter Rabbit and Friends and many other animations. He also appeared in numerous sitcoms including Bless This House, Citizen Smith and Only Fools and Horses, to name but a few. He later appeared in The Bill, Footballer's Wives and Doctors. Jackson died suddenly on 26th November 2006 (aged 62) after becoming ill during rehearsals for the play Waiting For Godot in Ireland. Michael Darbyshire (Hubert Davenport) died on November 20th 1979 while Rentaghost was still in its infancy. The series continued without him, of course, but before this he had played one of the eccentric inventors in the musical film Chitty Chitty Bang Bang in 1968. Michael Staniforth (Timothy Claypole) was the longest-standing cast member and also composed and sang the Rentaghost theme tune. After the series ended in 1984 he played CB the Red Caboose in the musical Starlight Express. Sadly, Michael died from an AIDS-related illness on 31st July 1987. Between 1950 and 1975, Molly Weir (Hazel the McWitch) had roles in eight major movies before joining Rentaghost. She was also the author of seven books between 1970 and 1983 and became well-known as a writer. Molly appeared in the video for the Bluebells hit Young At Heart. She retired in 1999 and died on 28th Nov 2004 leaving almost all of her estate (around £1.9 million) to charities.